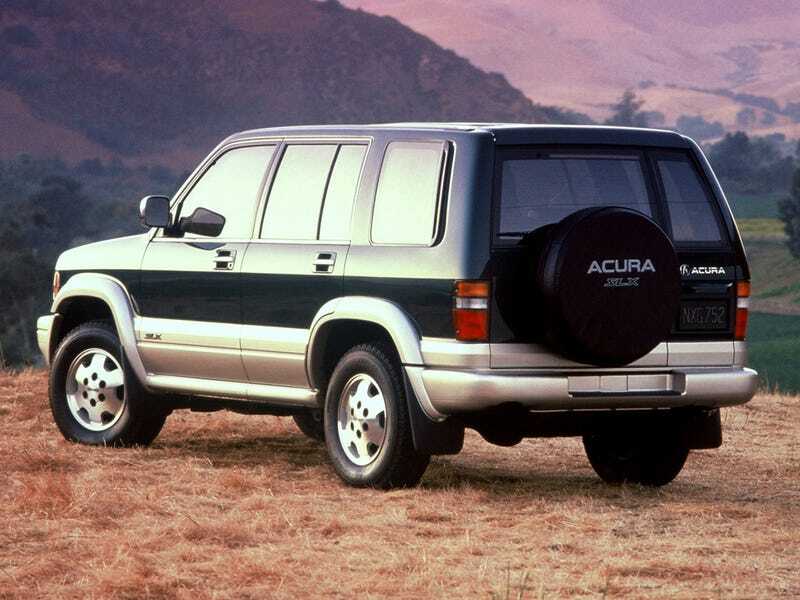 Before Acura made the super popular MDX, they had a rebadged Isuzu Trooper called the SLX. Before Acura made the super popular MDX, they had a rebadged Isuzu Trooper called the SLX. Despite the car being a bit prone to rollovers, it had awesome rear doors with a 70/30 split.